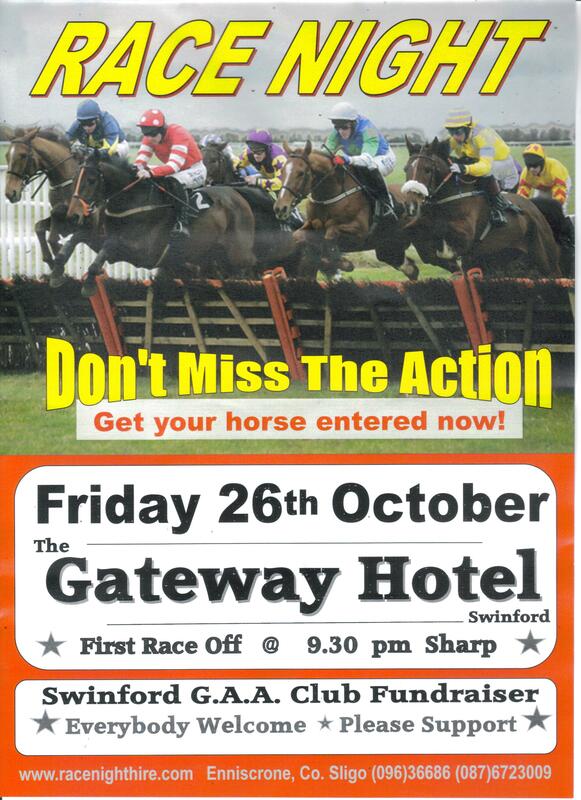 The club will be hosting a racenight in the Gateway Hotel on Friday 26th October. If you wish to buy a horse for €20 please contact a club officer. 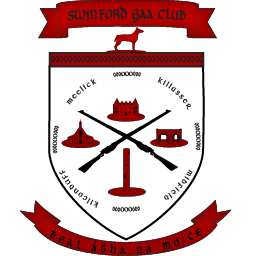 Thanks to all who supported our table quiz tonight in Melletts. 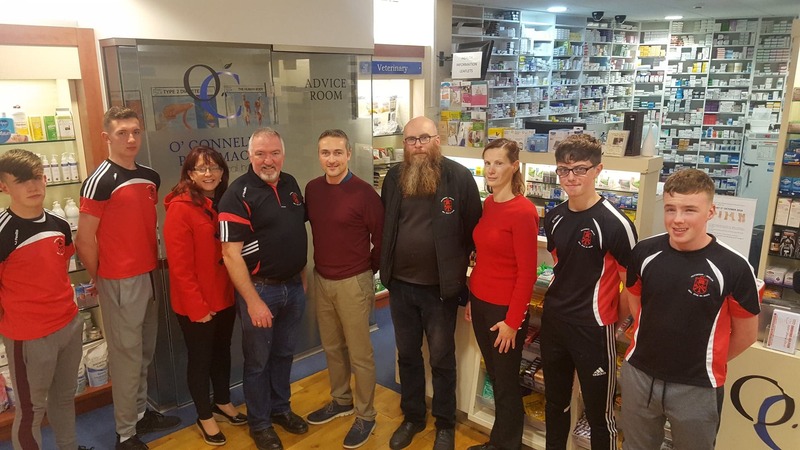 Thanks to our quizmaster Douglas, our collectors and correctors Katie, Deirdre, Geraldine and Michael, to our raffle sponsors O’Donnells Pharmacy, Douglas Kelly and the club itself. Thanks to Marie Mellett for sponsoring the winning prize.